Pretty hard to write when you find yourself literally speechless, definitely not something usual for a writer, but what I found this morning, example, after example after example.....etc etc etc, chilled me right to the bone. 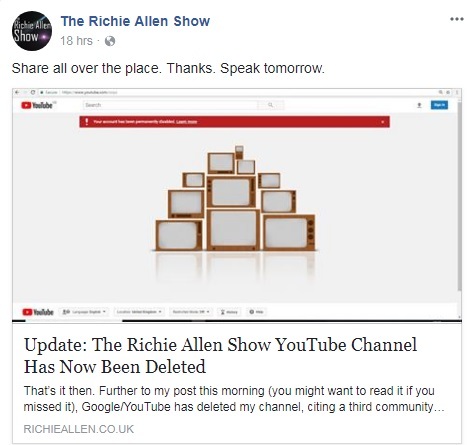 Years worth of videos, interviews from The Richie Allen show with 76,000 subscribers and 1,400 videos, along with years of work by The Ochelli Effect Radio Show, gone, wiped out, as both were terminated from YouTube for "violations," with Jordan Sather having been blocked from livestreaming for 90 days after his video titled "2.15 - FL Shooting/NSA Incident/Other Articles & Cosmic/UFO News." His YouTube channel has 117K subscribers. In Sather's case, they have just started, now that he has been targeted, they will go through all his other videos, find another two violations just as they did with Allen, and most likely terminate him as well. 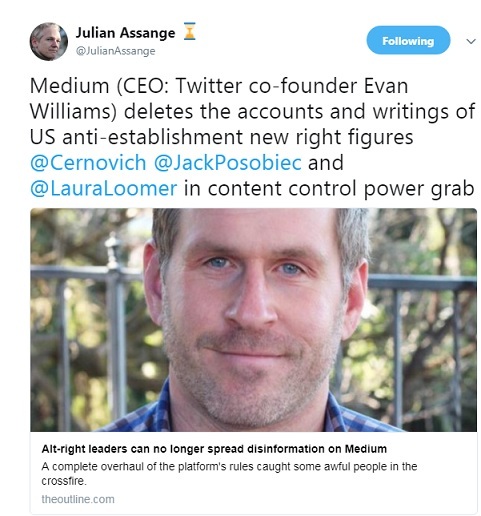 It isn't just Google's YouTube though, no, this is more insidious as we are informed by Wikileaks Founder Julian Assange, that the website Medium, has wiped out the entire article archives of Independent writers such as Mike Cernovich, Laura Loomer and Jack Posobiec. Gone..... just gone. Use any search engine, search for Medium and their names, click their links that supposedly lead to "Latest stories by (insert name)" and you are redirected to Medium's generic suspension page, with the message "This page is unavailable." This week Twitter locked out thousands upon thousands of real people, assuming they were bots, for most likely talking about God, Country and guns, as Project Veritas had recently filmed members of Twitter saying those are the types of words that are flagged to teach their algorithms what to consider a bot. My Twitter account lost over 250 followers in the #TwitterLockOut, and by the end of that day, after forcing these people to prove they were real, Twitter restored well over 200 of those followers for me, thousands across the platform. They assumed they were bots, you know, guilty, of being big bad Russians, until proven innocent. What do all these people that just saw all of their video/articles archives wiped out have in common? They do not conform to the official "narratives, they challenge thought, they bring unfiltered information, some wrong, some right, but they throw it all out there and let readers take up the gauntlet, discuss, debate, learn and decide for themselves. I repeatedly stated yesterday and I do it again today, that I am not important, certainly no more or less important than anyone else. I have not been personally targeted. It isn't about me. The content and the information is being targeted, in my case, three and a half years of interviews with conspiracy researchers yes, but also with hundreds of academics, scientists, mainstream journalists and politicians beings asked questions about conspiracies, something which has never been done before on this scale. Like I said yesterday, I had been warned on several occasions that the show (not me) would be targeted for this reason. One well known journalist who writes for a national newspaper told me that "they" would never stand for a show like that, a crossover show if you like. I don't know about that, I mean, I broadcast from a home studio, I am self sufficient, there's nothing "they" can do about that. While I can be booted off YouTube, the live show cannot be stopped, although I have been informed by some of the same sources, that OFCOM (the UK broadcast media regulatory authority) is going to come after internet broadcasters who stream live content as opposed to pre-recorded podcasts. My show is a live show first and foremost and a podcast second. I'm told that this year, as part of its campaign to target hate speech online, the UK government is going to outline plans to regulate independent media. Therefore, what happened to me yesterday was only the beginning. Read his entire statement here, where he provides multiple methods to listen to his live shows, since none of his 76,000 subscribers can listen to him on YouTube anymore. On Facebook Allen informed his followers "My YouTube channel is gone. They deleted it around 15 minutes ago. Share as wide and as far as you can. 76,000 subscribers, 1,400 videos. Gone." 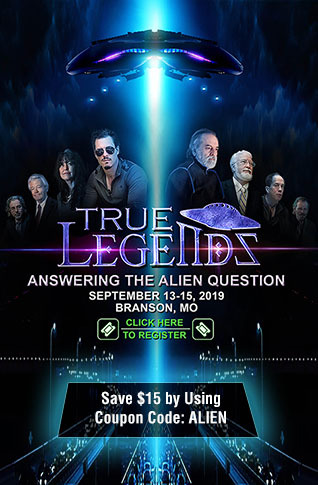 The Ochelli Effect, hosted by Chuck Ochelli, who YouTube also terminated, self-describes his work as "a conspiracy realist, Chuck covers a vast array of topics such as the assassinations of JFK, MLK & RFK, the 9-11 cover up, the police state and the multiple wars on terror just to name a few...." Image below, via Ochelli's FB Page. While I had never heard of Jordan Sather's 'Destroying the Illusion' channel the fact that YouTube specifically notified him of his "violation" while highlighting his video speaking about the Florida shooting and the NSA incident, pretty much shows his content is along the same lines as the other two radio hosts that provide content on YouTube for people that perhaps can't listen live. 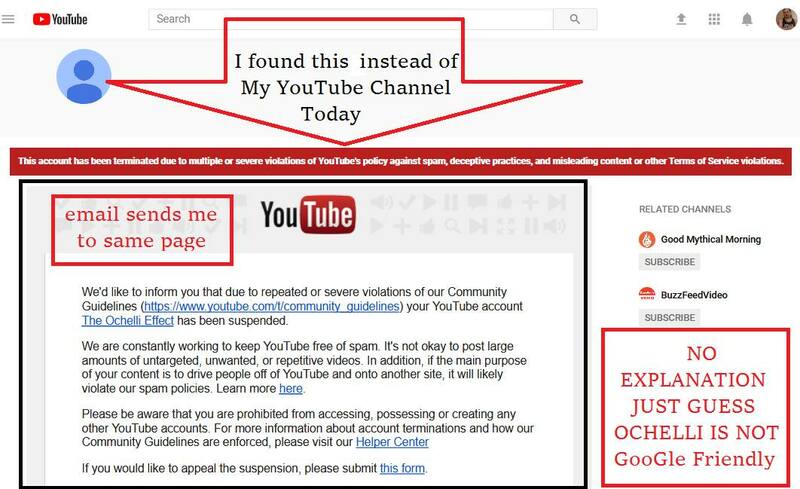 With YouTube it is three strikes you are out, so as they go through his other videos, if they find content they do not agree with, now that he has been targeted, his account may disappear as well. I hope he is archiving all his work now, so he doesn't lose it all. In regards to Medium, they apparently changed their "Rules" found in the Wayback Machine in November from supporting "vigorous debate," saying that "Medium is a free and open platform for anyone to write their views and opinions. As such we don’t vet or approve posts before our users publish them. We believe free expression deserves a lot of leeway, so we generally think the best response to bad ideas is good ideas, not censorship." "We welcome discussion from the broad spectrum of viewpoints. Nevertheless, to maintain a safe and welcoming environment for a wide range of people to engage in meaningful conversations, we prohibit certain conduct. As to the people Medium decided to wipe all archived reports from, once again it is either conservative or content that challenges the MSM's official narrative. Using Mike Cernovich as an example, while we don't quote him often, and do not agree with a lot of what he writes, he was the first person online to publicly bust both the NYT and Bloomberg for sitting on a blockbuster story, publishing information, on Medium, showing who in the Obama administration was "unmasking" American citizens for political purposes. ANP wrote about it at the time, linking to his piece, and his assertions via social media about the MSM outlets refusing to report a story that was of extreme interest, and then 12 hours after he reported the news and exposed the truth, Bloomberg rushed to publish what they had been sitting on. Cernovich's exclusive report came out in the evening of April 2, 2017, as well as his issuing a tweet claiming "We know it's you @AmbassadorRice. Bloomberg and NY Times both sat on the story to protect Obama. Have a nice time before Congress," at 4:40 pm PT. It wasn't until April 3. 2017, at 10:13 am ET, that sure enough, Bloomberg, who was founded by Michael Bloomberg, rushed to release their report which confirms Cernovich's information. The exclusive Cernovich article, which ANP linked to at the time, being the first to blow the scandal wide open on the internet, was at https://medium.com/@Cernovich/susan-rice-requested-unmasking-of-incoming-trump-administration-officials-30085b5cff16, yet Medium disappeared it, because if you click that link now, it redirects you to their generic suspension page. Loomer, spent a considerable amount of time and money in Las Vegas after the massacre, and while some of her stuff again could be considered over the top, she was still putting out original interviews with survivors, and chasing every single angle. As to Posobiec, I don't think we ever referenced his work, but he is known to push the envelope, questioning the official narrative and is consider the far-right. According to The Hill, Twitter has also suspended Loomer for seven days over tweets regarding the Florida shooting. In the meantime, liberal sites are gloating, while hailing this as Medium suspending "alt-right trolls," which is the very heart of the issue, where liberals including those running Medium and YouTube, seem to think that if they don't agree with the opinions or content, then it is perfectly find to silence them. This should chill all of us to the bone. While we don't agree with all the content of those who have just had all their work and archives completed flushed down the toilet, we do believe they have the right to their opinion and the internet should be free to all points of views and topics, and the official narrative should be questioned, look how many times we documented the MSM pushing outright fake news. These social media platforms, along with the MSM, are not just using the Florida school shooting to attempt to disarm Americans, they are using it to kick their outright purge and censorship of any narrative other the one the MSM is pushing, into hyper-drive. So readers know, ANP is not using a free webshosting site, and we have the ability to backup our entire archives and save those backups. If our hosting site, which we pay for, decided to try to wipe our content out, we could and would re-upload everything elsewhere, though it would take time. Just wanted to reassure readers that we have a back up site that is hosted by a free service, we do not use it except to keep it active enough to not be deleted, in case we ever need a place for PipeLiners to get our new content until other arrangements could be made. We recommend signing up for our newsletter, even if you are a regular reader, so we have a method to keep readers updated in the event of someone trying to silence us. We only send out about two newsletters a week with our recent articles, we do not send out paid advertisement newsletters at all. Since Jordan Sather's 'Destroying the Illusion' channel is still up, at least for now, we figured we would give him a little love. Here is his latest interview dated February 22, 2018, where he speaks to Isaac Green at ANTI SCHOOL, who has also been banned from The Google platform YouTube, and is filing suit against big tech for their social media censorship.